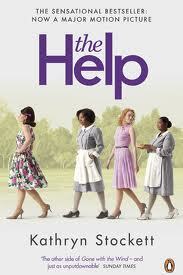 I heard the trailers for the film The Help on the radio a few months ago and thought it sounded like an interesting film. I was going to watch it but then I realised it was based on a book. I decided to wait and read the book first (it's best that way, in my opinion). So I bought the book and it had been waiting very patiently on my to-be-read tower ever since. I have only just got round to reading it and I'm glad I did. Even though I didn't devour it with quite so much desperation as Afterwards, I enjoyed it just as much in a more gentle manner. Again, this wasn't my usual chick lit but I found it compelling. At times it was amusing, others it was heartbreaking. Other times it made me angry that such attitudes existed (and still do in some cases, unfortunately). There were three distinct voices telling the story - Skeeter, Aibileen and Minny but the changing of perspective never interrupted the flow. As well as a great book, it was also a good tool for opening up a discussion about segregation with my 8 year old. She asked what I was reading and I explained and while it may not be a pleasant topic, I feel it's an important one.